I know right? I better get cracking. This is soooo beautiful! I like it even more than the first one - and that's saying something for me since blue is my favorite color. Love the cover! Daughter of Smoke and Bone was great except that it ended! :D So I'm definitely looking forward to this. I love Laini Taylor's writing. YES YES YES I am sooo excited for this book! 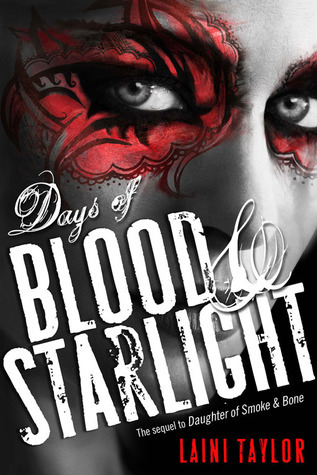 I loved DoSaB, and this is one of my most anticipated books of 2012! AND I love this cover, so much more than DoSaB, it's soooo pretty!